Ontario is considering eliminating front licence plates on vehicles across the province. 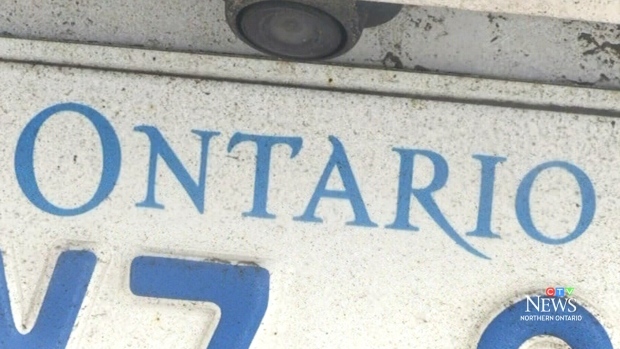 Government Services Minister Bill Walker said Tuesday that the idea is under review as a cost-savings measure but no decisions have been made by the Progressive Conservatives, who are set to reveal a redesign of Ontario's licence plates later this week. "We'll go out and do some due diligence," he said. "We'll make sure we meet with stakeholders and have good conversations ... and see if at the end of the day it's a good thing." The review of the front plates will not be part of a broader redesign of Ontario licence plates set to be revealed later this week, Premier Doug Ford's office said. Published media reports citing anonymous sources said the slogan on plates for passenger vehicles will be changing to "A Place to Grow," while the premier's office has said one of the Progressive Conservatives' campaign slogans -- "Open for Business" -- could end up on commercial plates. Ford has said the redesign, which would replace the current slogan "Yours to Discover," would come at no cost to taxpayers. When asked about the new slogan for regular plates, Walker would only say "stay tuned until Thursday." Meanwhile, the government's review of front licence plates drew concern from the Ontario Association of Chiefs of Police. "When we get into an Amber Alert situation, we have minutes to save the life of a vulnerable ... a child," he said. "We put that information to the public and ask them to watch for it, because it's almost always a licence plate involved ... and if you take away 50 per cent of the plates you're taking away an opportunity to intervene in that." NDP Leader Andrea Horwath questioned the Ontario government's priorities and said it needs to talk to police if it is going to make the move. "I think it's shameful that Mr. Ford, who talks a great game about having respect for policing, has once again not bothered to have a discussion with the people that are in those positions," she said.